The New Old Men is the combo of Karl Eifrig (aka Eddie P) from Chicago and Josh Lawrence (aka JJ Sonick) from San Francisco. Submit a song request and we may make it into a real song! Dylan from New York requested we make a punk song called “I Like Tacos” that included the lyrics “i like tacos tacos are great mmmm lovin tacos tacos are my long lost love.” Karl punked it up! We fulfilled Kyle Braden‘s request to make a song titled “Dance Like There is no Tomorrow”. He said, “Kinda like the songs playing on the pop radio stations. 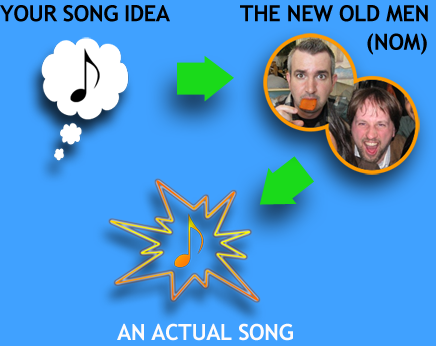 If possible, with no words just a single karaoke song.” We may have made this a little more 80s/pop-rocky than current pop, but that’s just the way it evolved – continue dancing! We fulfilled Badass Beefy from New York’s request to make a song titled “Do the Beefy Shake”! 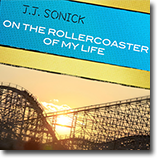 Submitter gougou requested a song combining acoustic country and jazz, to be called “On the Rollercoaster of My Life”. JJ Sonick looped the loop and fulfilled the request. Iain from New Zealand asked us to come up with a song called Murscuddy Delight, saying “It’s a dessert I just made up. Sing its praises!” and asking it to combine the genres of New Wave and Prog. If you are not interested in commercial or exclusive use of your song, and we pick your request, we fulfill the request for free, and release it as a free download on this site under a Creative Commons license. 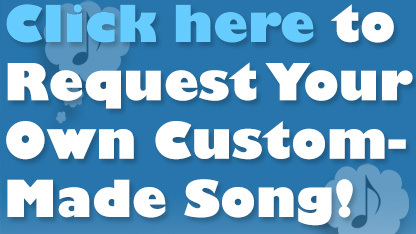 If you are interested in exclusive or commercial use of your requested song, you can indicate this when filling out the request form, and we will contact you by email with a price quote based on your request. 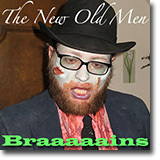 Craig Denniston from Omaha requested ‘Brrrrrrraaaaaaaains’, so we zombied it up for him. Vinita Chhahira requested a song done in a Bollywood / Bhangra style that would include the dentist-visit-related lyrics “I wore cool shades”, “There’s protein in my saliva” & “My teeth were media-blasted”. The songs on this page by The New Old Men, Karl Eifrig or JJ Sonick are licensed under a Creative Commons Attribution-NonCommercial-ShareAlike 3.0 Unported License.